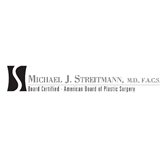 Dr. Michael J. Streitmann, MD (Houston) - Book Appointment Online! Dr. Streitmann received his undergraduate degree from the University of Texas at Austin and his MD degree from the University of Texas Health Science Center in San Antonio. After completing an internship in General Surgery, as well as a residency in Ear, Nose & Throat Surgery at the Medical College of Virginia in Richmond, VA, he moved on to complete a second residency in Plastic Surgery at the University of Oklahoma, which included Cosmetic Surgery Training at Lennox Hill Hospital in New York City. He’s Board Certified by the American Board of Otolaryngology – Head and Neck Surgery (ENT), by the American Board of Plastic Surgery – and he’s also a fellow of the American College of Surgeons. Although Dr. Streitmann is Board Certified in Otolaryngology, his primary practice is in Plastic and Reconstructive Surgery. He is unable to treat vertigo and hearing loss patients.